Both Google and Bing want enterprises to chat with prospective visitors from their search results pages. 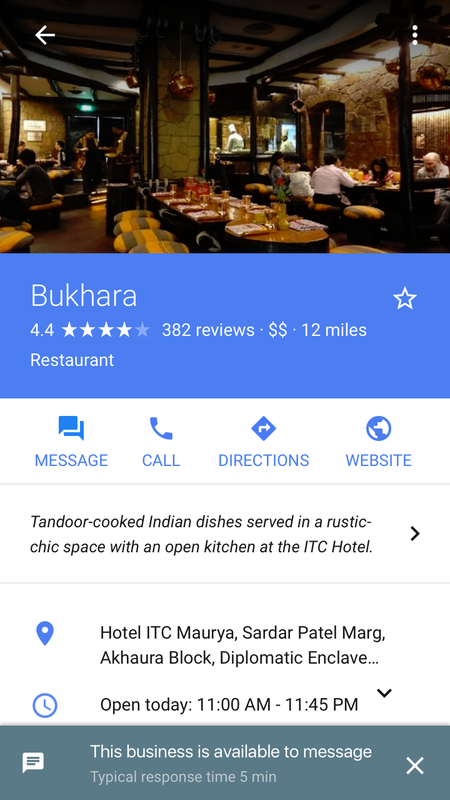 Google My Business posted about a new pilot program that will allow businesses to chat with customers through their own knowledge graph panel, and Bing introduced a feature to local business search results that will also allow searchers to chat with businesses. In the case of Google, a new message button will be added to a local listing (see an example of that below). When users select the message button, they will initiate a chat with the business with the message apparently going through the businesses’ SMS number or via Google Allo. Unlike Google which uses its own technology, Bing's messaging capabilities seem to take advantage of whatever feature the business is currently using. It appears that neither company has formally announced the program but it does show that both search engines are interested in keeping users longer on the search results page and are using whatever means necessary to do so.